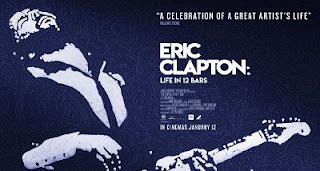 Home / -News- / Eric Clapton / Eric Clapton Concerned About Performing; Says He Has Hearing Loss and "My Hands Just About Work"
Eric Clapton Concerned About Performing; Says He Has Hearing Loss and "My Hands Just About Work"
It's a fact of life. The older we get, the harder it is to do the things we love. That's where Eric Clapton is, admitting to hearing loss and hands that aren't working as well as they used to. Clapton was on BBC Radio 2 yesterday (January 9) talking with Steve Wright and told him that his upcoming show this summer at London's Hyde Park is concerning him. "I am still going to work. I am going to do a show at Hyde Park in July; the only thing I am concerned with now is I am going deaf, I’ve got tinnitus, my hands just about work." He also doesn't want to become a novelty. "I mean, I am hoping that people will come along and see me [for] more than [because] I am a curiosity. I know that is part of it, because it’s amazing to myself that I am still here." A new documentary on the legendary guitarist will debut on Showtime on February 10. Eric Clapton: Life in 12 Bars was directed by Lili Fini Zanuck and is described as "an unflinching and deeply personal look into the life of legendary 18-time Grammy winner Eric Clapton."